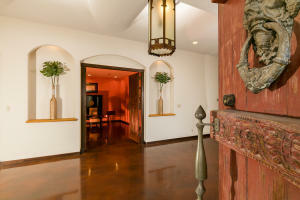 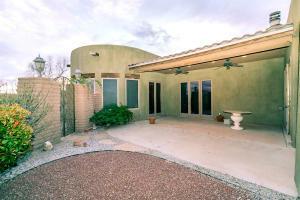 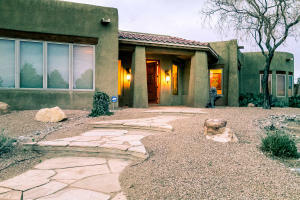 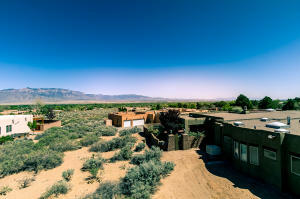 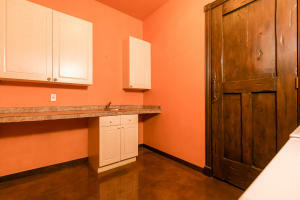 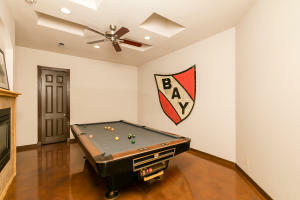 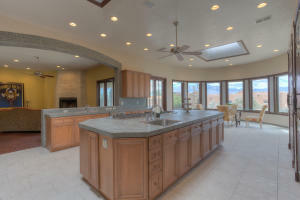 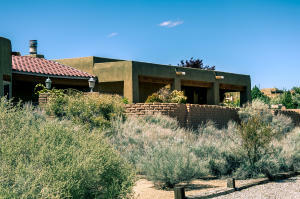 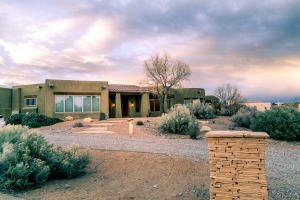 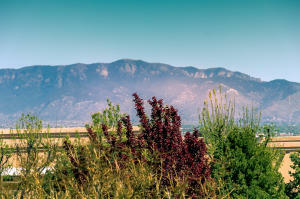 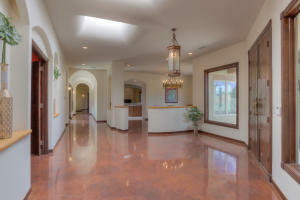 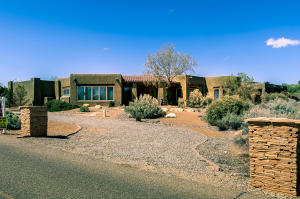 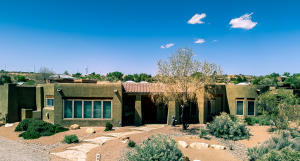 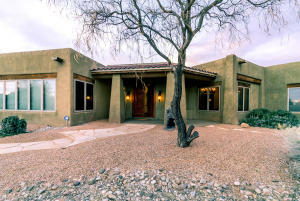 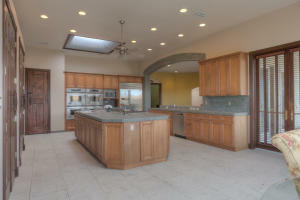 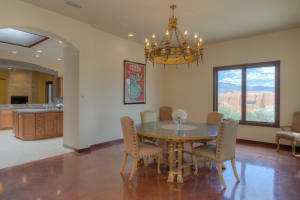 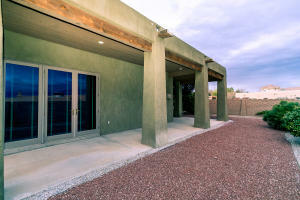 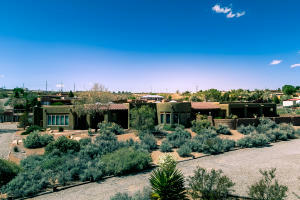 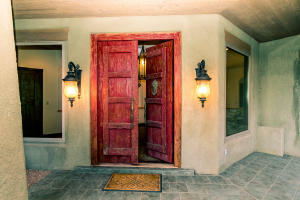 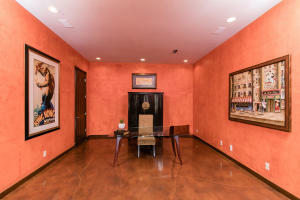 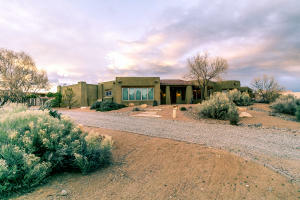 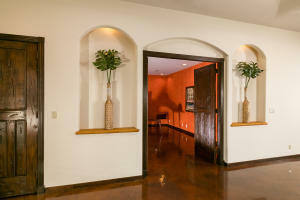 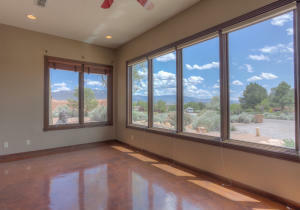 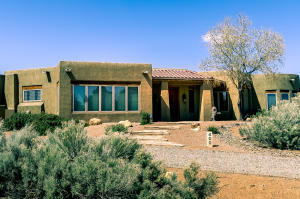 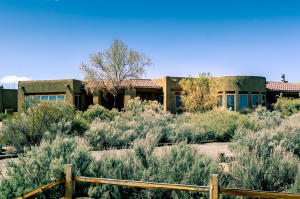 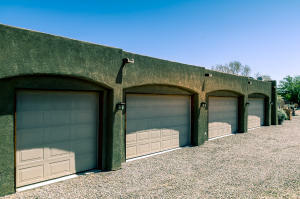 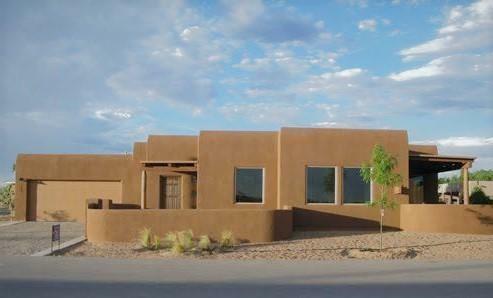 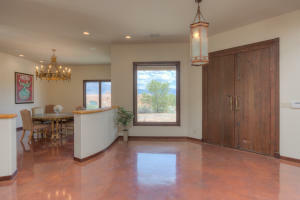 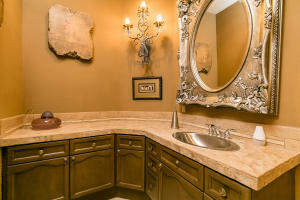 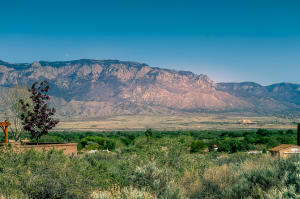 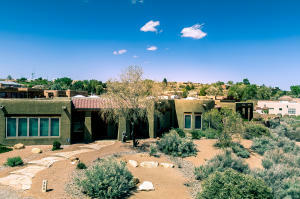 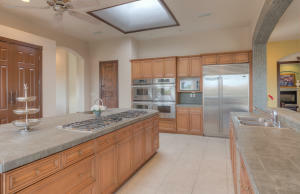 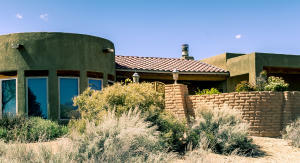 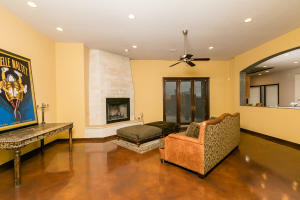 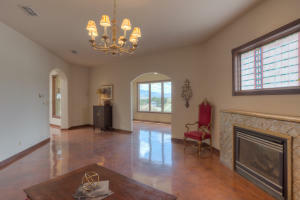 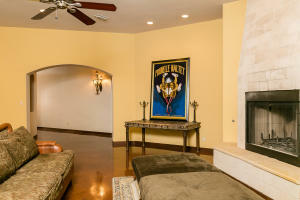 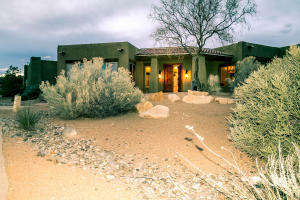 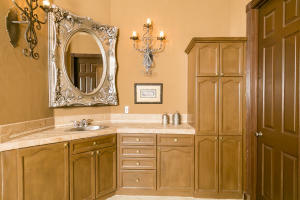 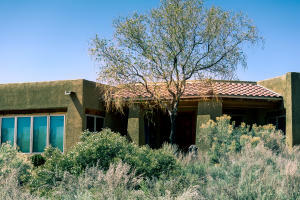 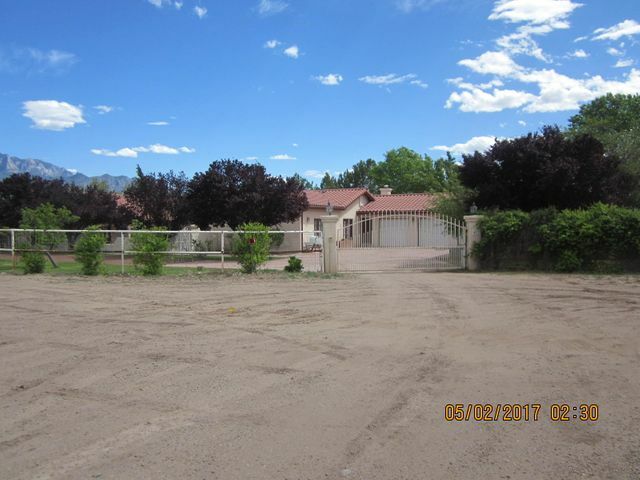 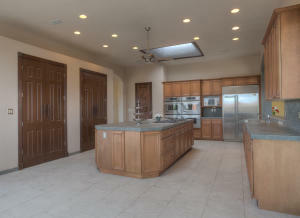 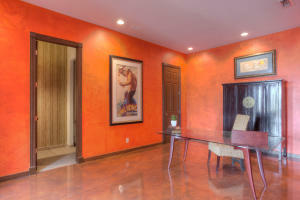 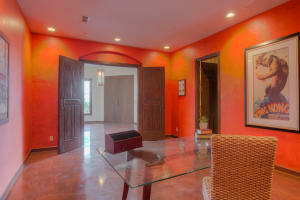 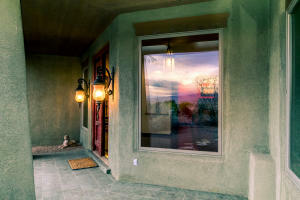 Stunning, custom built home on .89 acres in Corrales W/beautiful mountain & Bosque views! 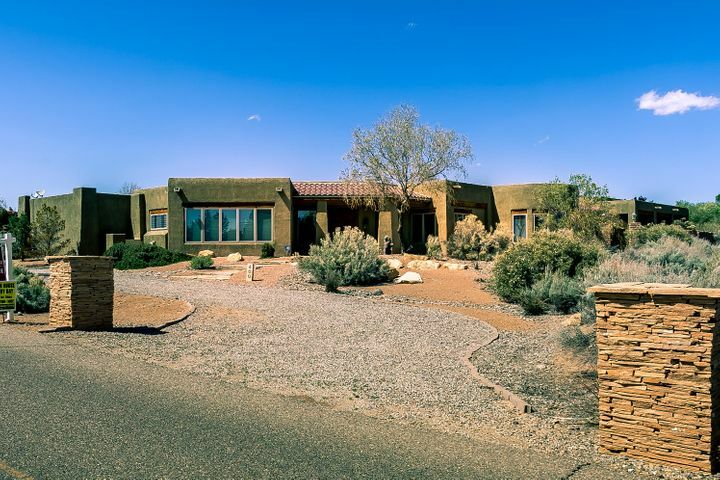 This sprawling floorplan has it all - formal living & dining rooms, gourmet kitchen, office/study, family room, media room, game/exercise room, master suite, 2 additional bedrooms each w/own bath, 7 car garage. 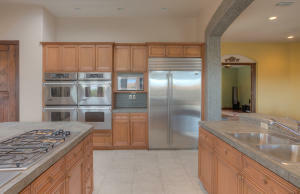 Kitchen has large island w/2 five-burner cooktops & prep sink, SS appliances including 2 double ovens & a sub-zero refrigerator, 3 pantries, large breakfast nook. 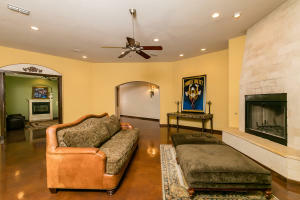 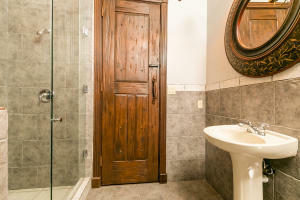 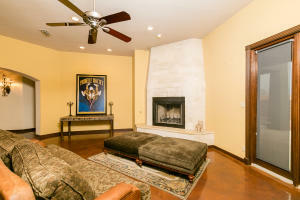 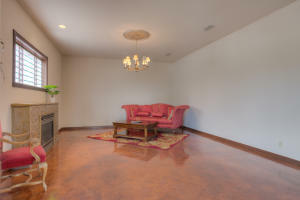 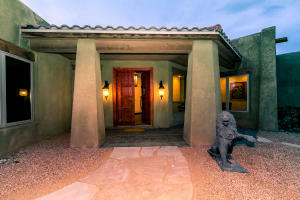 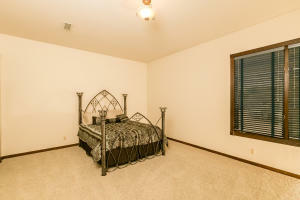 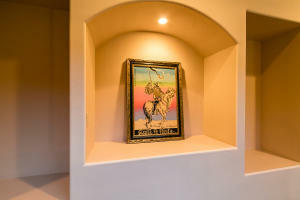 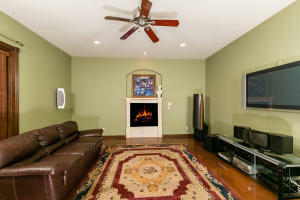 Master retreat offers sitting area, 2 gas log fireplaces, his/hers vanities, 2 separate showers, large jacuzzi tub, his/hers walk -in closets, dressing/massage area. 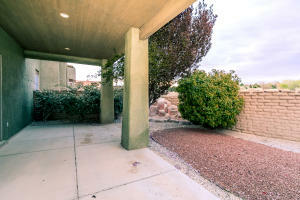 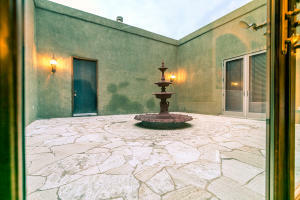 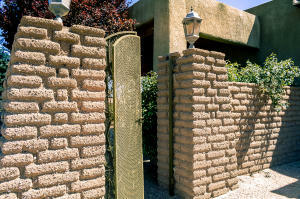 Interior & exterior courtyards provide plenty of space for outdoor entertaining. 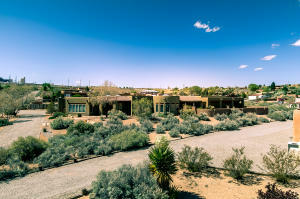 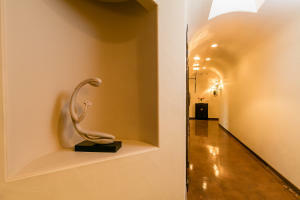 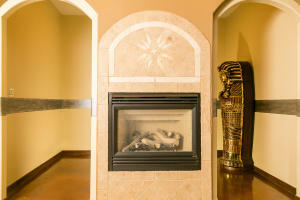 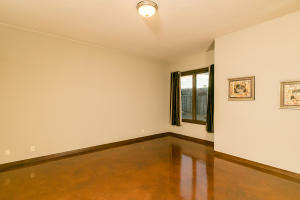 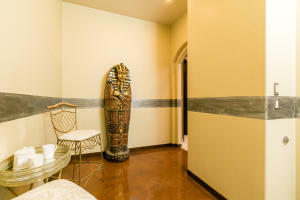 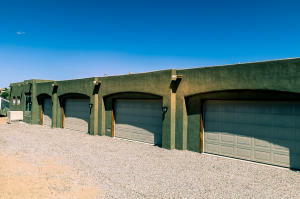 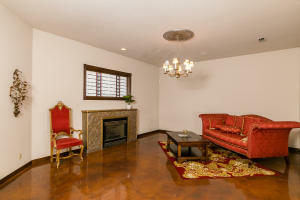 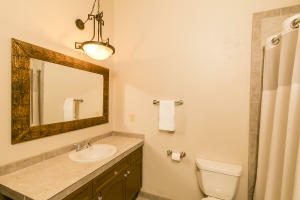 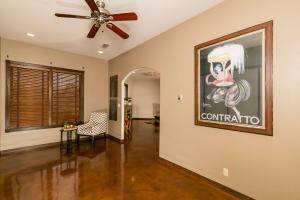 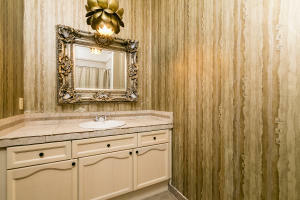 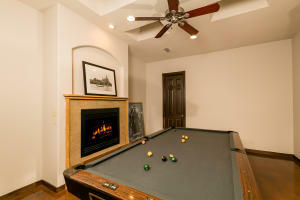 See attached property info for list of amenities & features.